The family that works together, tours together. Last August 25 to 28, we celebrated the eighteenth (18th) anniversary of Travel Warehouse Inc. in Osaka, Japan! Like you TWIristas, the TWI family went on an incentive trip to take a short break away from work and bond with new members of the family. Four days of TWIrista fun: shopping, food trips, team building activities, an Osaka-Kyoto-Nara tour, late-night karaoke sessions and city adventures comprised our stay. We are grateful to our sponsor, FP Hotels South-Namba, for their hotel accommodation. Since most of us were Osaka first-timers, the excitement was felt from the beginning of the NAIA boarding until setting foot and traveling the streets of Osaka. Selfie bursts and poses flung from every nook and cranny that gave the #TWIrista feels. To share with you our experience, we first visited the Osaka Museum of Housing and Living which showcased the traditional Japanese village. Culturally and historically informative, the evolution of the contemporary Osaka community was demonstrated through the scale models and dioramas found in the museum. In Dotonburi, we were able to see the iconic Glico man and sought after Shinsaibashi Shopping district. A line up of restaurants, cafes, bars, and stores occupied locals and foreign visitors alike from sunrise to sunset. Come the night, Dotonburi gleams, ever so vibrant with its LED lights and Japanese lanterns. Day Two in Osaka involved a trip to the outskirts of Kyoto, incorporating our team building activities along the way. There was a bit of puzzle-solving at the Togetsu-kyo bridge, a photo storytelling contest in Arashiyama Bamboo Grove, and Takoyaki food challenge in Fushimi Inari. To cap off the night, we had a kushikatsu (deep fried food) dinner in Shinsaikai Street. They say the days seem to catch up quickly if you’re having a good time. Day three came as free and easy. Most of us headed for Universal Studios Japan which was a 20-minute train ride away from the hotel. Some of the attractions in the theme park are The Wizarding World of Harry Potter and Minion Park. A fellowship dinner was arranged for our last night in Osaka. Intervals of karaoke added to the jovial atmosphere as dinner was served and awards given to teams. The TWI family also viewed the Osaka AVP specially created for us by Direk Zaldy Gumaru. 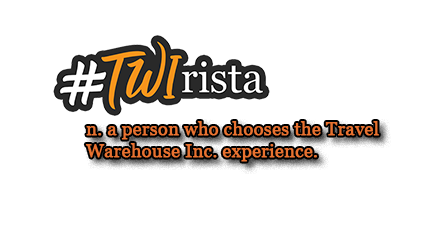 It reminded us of the reason why we love TWI and continue to remain loyal to the company. Taken at the Togetsu-kyo bridge in Arashiyama, Kyoto. Our Osaka adventure did not end there! Some of us decided on a spontaneous early morning ramen adventure in Dotonburi! We braved the wee hours, trying to hail for a cab, and after 10 to 20 minutes of waiting, we were off! Ichiran was surprisingly open and we had the best ramen and tea. The Dotonburi area was also vacant. We had the place all to ourselves and right then and there was our chance to have the best selfies with the Glico man! The travel agency’s presence in the tourism industry continues to reap major contributions, thriving in its ability to provide quality hands-on travel service assistance to clients and give back through corporate social responsibility every year. Previous Post Previous post: The Balkans: Beyond The Game of Thrones.